The Plank is your one must-do core strength move. But once you master the basic technique it’s time to move on to other more challenging variations. 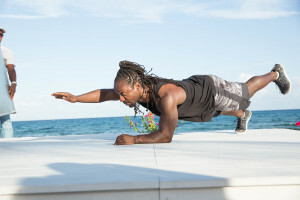 AcaciaTV trainer Gerren Liles shows you four advanced plank exercises that go deep into those all-important middle muscles to create the core you’ve been working towards. Start with one set of each held for five slow counts or about 10 seconds. After each set sit back into a child’s pose for a few moments as a counterbalance. Gradually build until you can hold each plank position for 30 slow counts or about a minute. Once you can do that, increase your number of sets. [A] Get into “table top” position balanced on your hands and the underside of your toes. Your arms and legs should be straight with hands directly beneath your shoulders and your entire body in a straight line from the top of your head to your heels. [B] Bend your elbows slightly and hold the position. [A] Balance on your right hand and outside edge of your right foot. Extend your left arm up and lift your left leg up. Pull your abs in so you stay level and steady. [B] Hold the position. [C] Repeat to opposite side. [A] Kneel on your hands and knees with your hands directly beneath your shoulders and knees directly beneath your hips. Pull your abs in towards your spin e so your back neither sags nor arches. [B] Extend your right arm out to shoulder level and your left leg out to hip height. Hold. Imagine you are trying to touch something just out of reach to elongate your body as much as possible. [C] Repeat with opposite arms and leg. [A] Start in the Opposite Extension posit ion then lower down onto your forearms so your elbows are directly beneath your shoulders. [B] Extend your right arm up to shoulder height and your left leg out to hip height. Hold. Stretch yourself as long as possible. [C] Repeat with opposite arm and leg. Looking for more great ab workouts to try? Check out Yoga for Abs starring Kristin McGee. 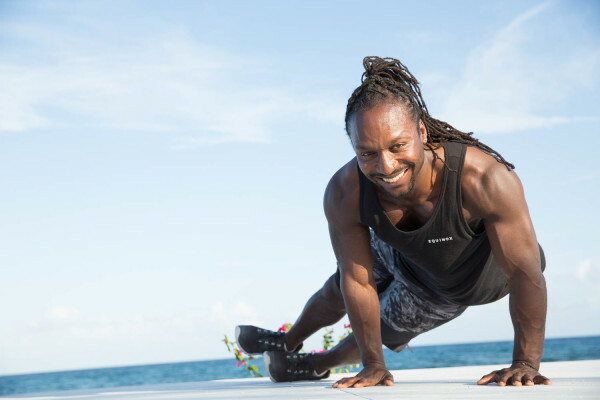 This non-stop workout is full of additional plank variations as well as many other intensely effective core sculpting moves.